Costume of the Marquise. 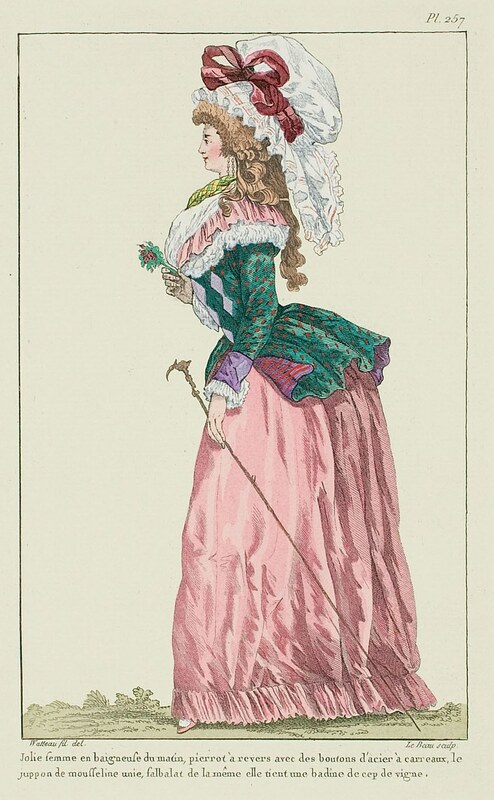 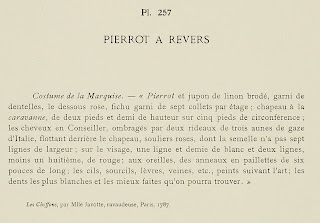 - "Pierrot and petticoat of embroidered linen, trimmed with lace, pink underpetticoat, kerchief trimmed with seven collars per side; hat à la caravanne, two and a half feet high and five feet in circumference; the hair en Conseiller, shaded by two drapes of three ells of Italian gauze, hanging behind the hat, pink shoes, the soles of which are not 7/12" wide: on the face, 3/24" of white and 2/12" (minus an eighth), of red;* on the ears, spangled rings six inches long; the eyelashes, brows, lips, veins, etc. 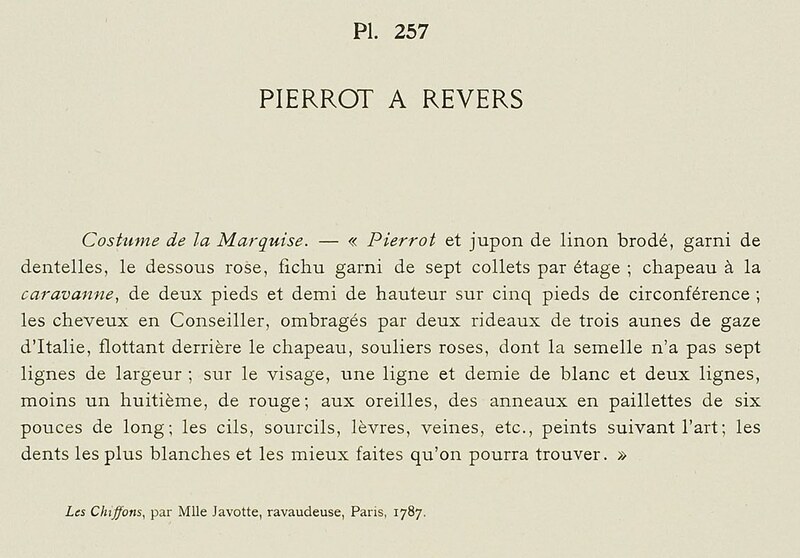 painted following art; the whitest and best-made teeth that one could find."